Every month we introduce you to a new initiative that resonates with our values. 3D printing, circular economy, environment protection or everything at the same time. This time let us introduce you to the SolarSinter. The principle is heating grains of sands with sunlight to print objects. This promising initiative resonates with our value of promoting responsible ways of producing. 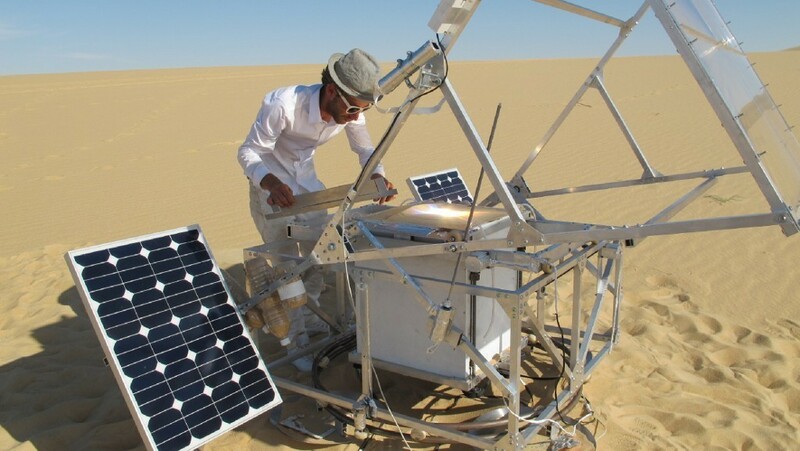 Markus Kayser imagined a 3D printer working with sunlight and sand. A former student of the Royal College of Arts he is an industrial designer in London. Marcus is familiar with industrial processes and materials related to nature and environment. He uses that understanding to create objects that go beyond simple usefulness. His experiments show that articulating technology and nature creates new ways of producing. Markus’ creation, the SolarSinter, relies on the principle of selective sintering. That means layers of sand solidified by sun heat over and over, one layer on the top of another. The sun replaces the traditional laser used in Selective Laser Sintering. The sand replaces the powder required by this technique. Those two resources are plentiful in the Sahara desert in Morocco. This is where Markus tested the machine. 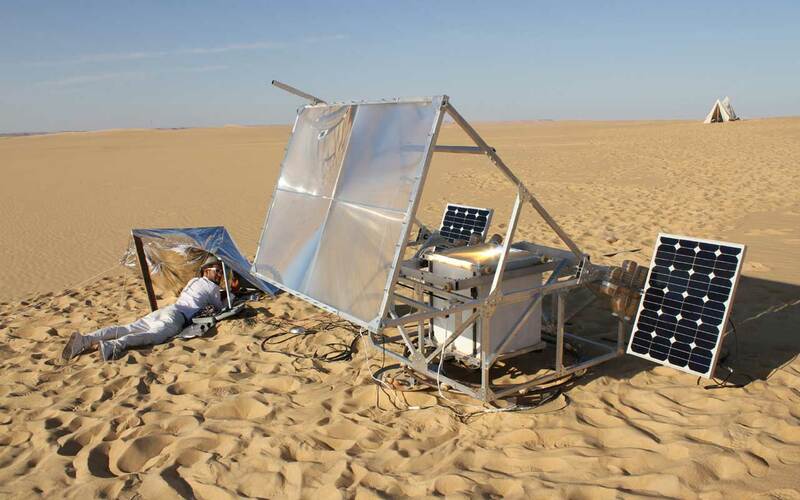 The SolarSinter uses a set of magnifying glass that turns sunlight into a 1000°C ray. Applied on the sand, it melts it and turns it into glass. Doing it one layer after another enables the creation of the final item. The tests conducted in Morocco and Egypt were successful, the machine is now automated and commercialized. The machine can print objects a few centimetres wide. It showcases a new way of producing in a responsible manner. It could become a way for developing populations to address their needs using widely accessible resources.